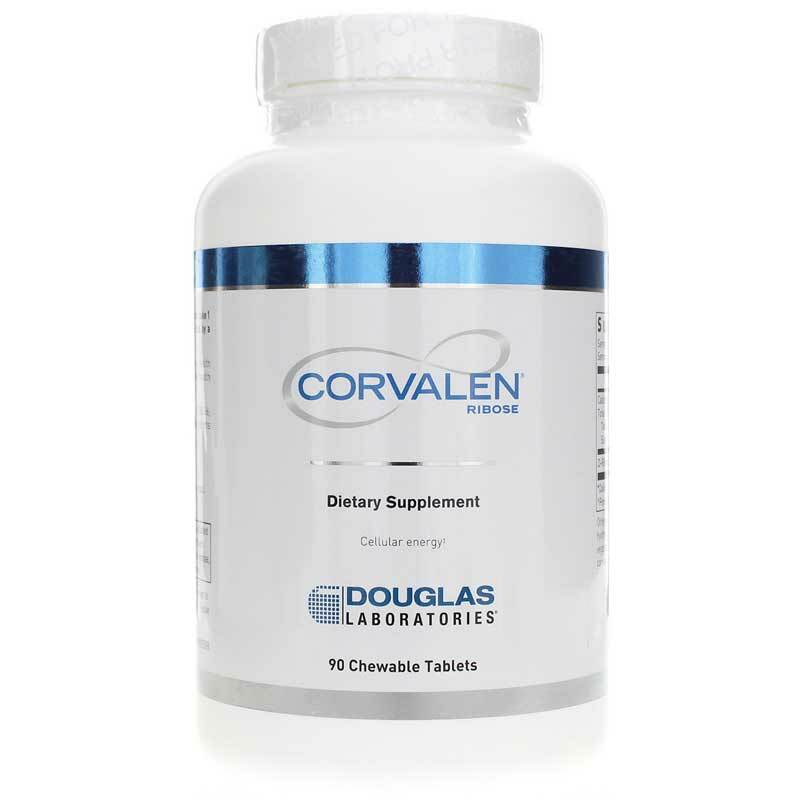 Corvalen Ribose by Douglas Labs is a ribose supplement that is intended to help increase energy production and to provide support for the heart and muscles. Ribose is a type of sugar that is created by the body and is used in in DNA, RNA and is used in several ways for the body's metabolism. 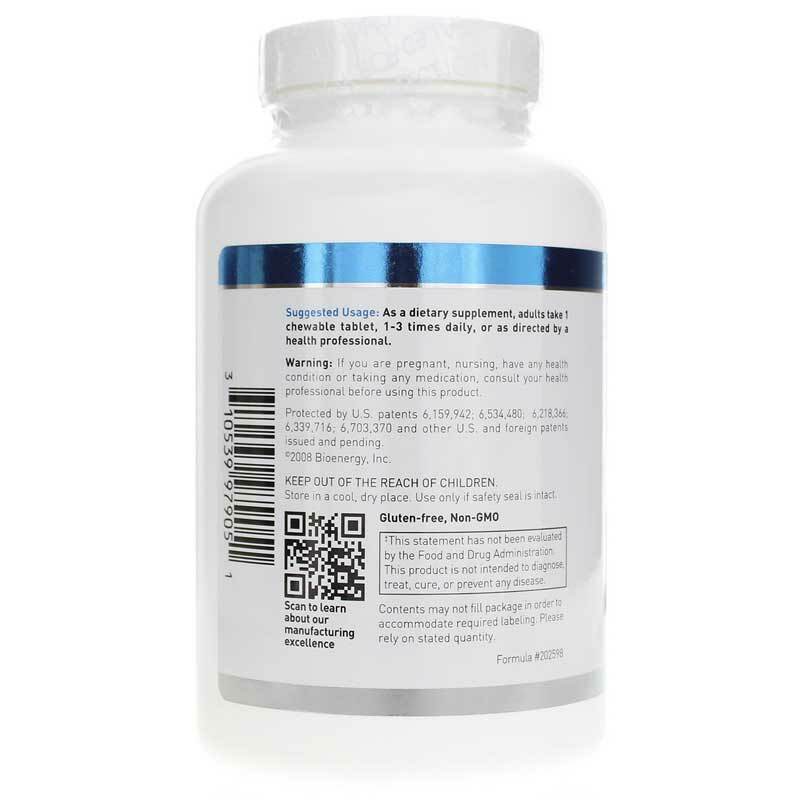 Ribose supports the body's ability to produce adenosine triphosphate or ATP, which is used by cells to manage the production of energy and to help store energy. 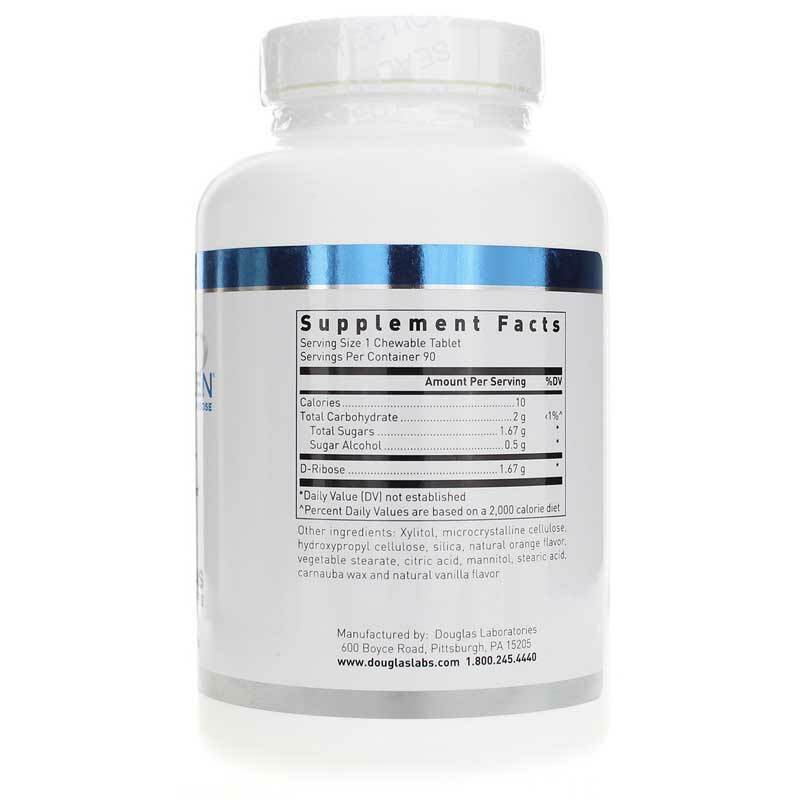 Ribose is used by athletes for its potential ability to aid in the recovery from exercise and workout routines. Ribose may help to increase blood flow and relieve cramping and soreness. Adults may take one chewable tablet one to three times daily with food or as recommended by a healthcare professional. Contains NO: salt, yeast, wheat, gluten, soy, corn, dairy products, artificial coloring, preservatives or flavoring. Adults: Take one chewable tablet one to three times daily with food. Alternative dosage: 1-3 chewable tablets just before and just after exercise or physical activity. Mild, transient hypoglycemia may occur if taken on an empty stomach. Insulin dependent diabetics and pregnant women should consult their physician before use. Ribose may cause a transient increase in uric acid levels; therefore those that have chronic gout should consult their physician before use. Keep out of the reach of children. I don't ever want to be without it! These tablets are great. I have used for several years. A few different ND's have recommended for me. They give me nice energy with no crash.